Data Curry is a one day workshop for business leaders conducted by the Data Science Institute, an initiative of the Usha Martin Group. It is a global entity pioneering in providing solutions in Data Science & Big Data Analytics training and consulting in the manufacturing sector. The one day workshop will focus on ways to explore and unveil actionable insights of using Data Science & Big Data Analytics at New Delhi. Through this workshop we aim to discuss real life case studies, from the manufacturing sector, that we have worked on. Conduct one-on-one discussion session with one of India’s leading Data Scientist and help you leverage the most of Data Science & Big Data in your organization. Why do you need the Big Data ingredient in your Organisation? Sales and Operations Planning by optimizing global operations to align the production of goods with strategic goals, forecast demand and reconcile with sales, supply chain and production plans. Predictive Maintenance by predicting when and where equipment failures are likely to occur, avoiding unanticipated equipment downtime and reducing maintenance costs. Demand Planning and Customer Analytics by driving revenue growth, increasing competitiveness, improving customer loyalty by better understanding end-client needs and quickly getting products to market. Smarter supply chains by improving decision making with end-to-end supply chain visibility and integrated strategic planning. Dr. Dakshinamurthy V Kolluru, President, International School of Engineering, will conduct the workshop. After a PhD, from Carnegie Mellon University, Dr. Murthy, a renowned Indian data scientist with more than 15 years of work experience has been associated with fortune 500 companies as a chief data consultant. 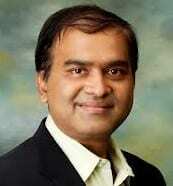 He is rated amongst the top 10 academicians in Analytics in India by Analytics India Magazine. Dr. Murthy has filed for 5 patents in Retail and Telecom Analytics, and has more than a dozen published international articles, presented in over 50 international seminars and conferences. He is a brand name in the world of Data science. Over the past few years, he has been actively teaching and consulting data science and big data analytics to working professionals from diverse industries with wide range of experience. a)How to scope Data Science problem, what type of business problems can be solved, how to prioritize? b)Techniques to analyze data, how to execute Data Science projects? d)How to scientifically evaluate the ROI? •Understand how analytics can substantially help a manufacturing unit through real-world use cases from operations, quality, supply chain and marketing.